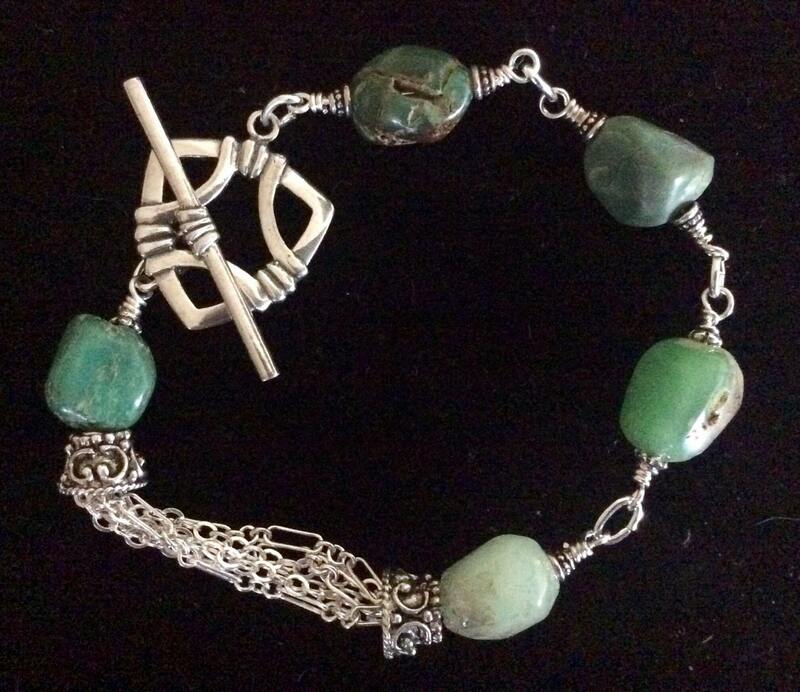 Sterling silver link bracelet with raw chrysoprase nuggets for sale! This bracelet is a well made and versatile design I created using all high end materials! 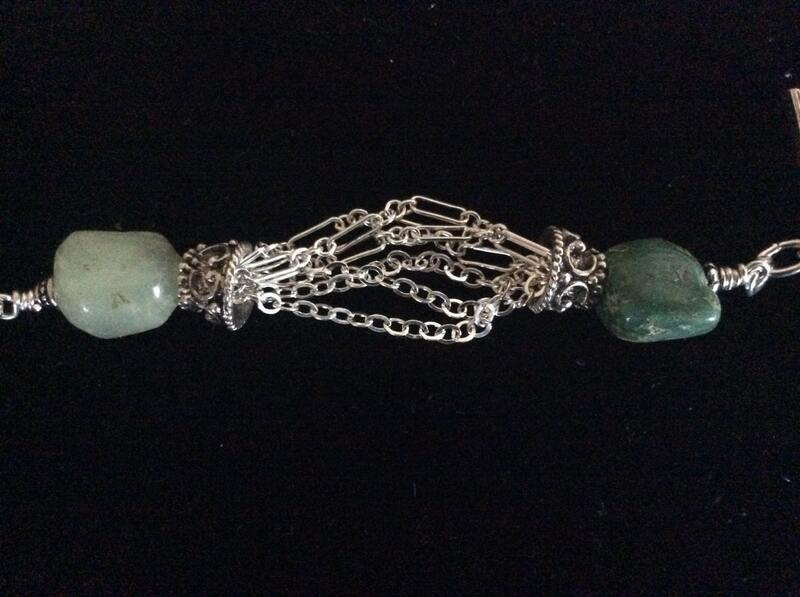 I've chosen raw chrysoprase nuggets to bring the design back down to earth, thereby adding an organic, bohemian vibe! There is a certain juxtaposition present reflecting the enigmatic nature of you, its owner! People around you will be aware of the mysterious side of you; a women who wants a piece of jewelry made with high end materials, yet, who chooses the earthy raw beauty of a semi precious stone in its near-natural state! 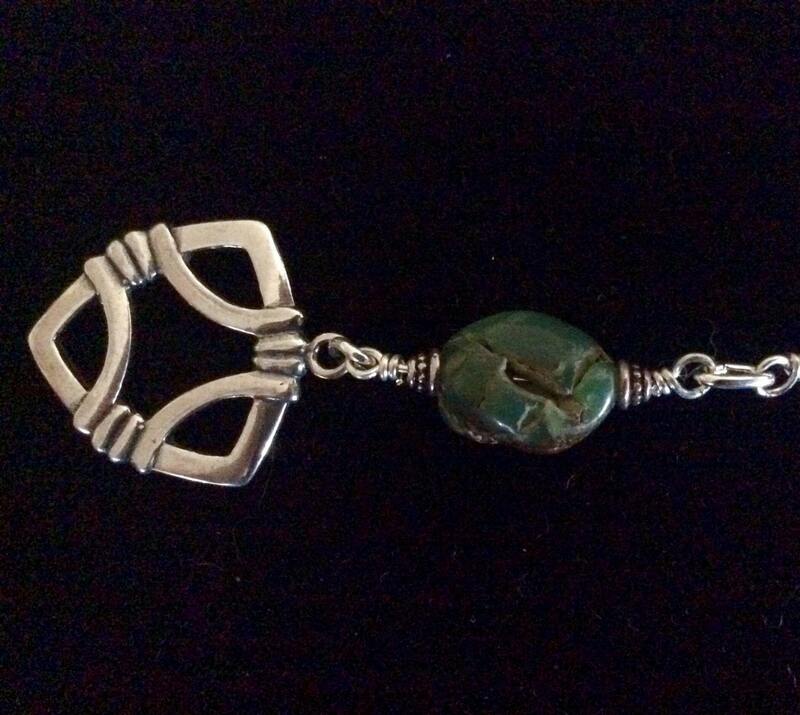 The soft green colored stones are wire wrapped and linked together with Sterling silver wire. Pewter cones hold the terminal ends of six pieces of Argentium silver wire. Like sterling silver, Argentium is made using fine (pure) silver but instead of a copper alloy, as in sterling, Argentium uses tin for its alloy, thereby making it more resistant to tarnish. 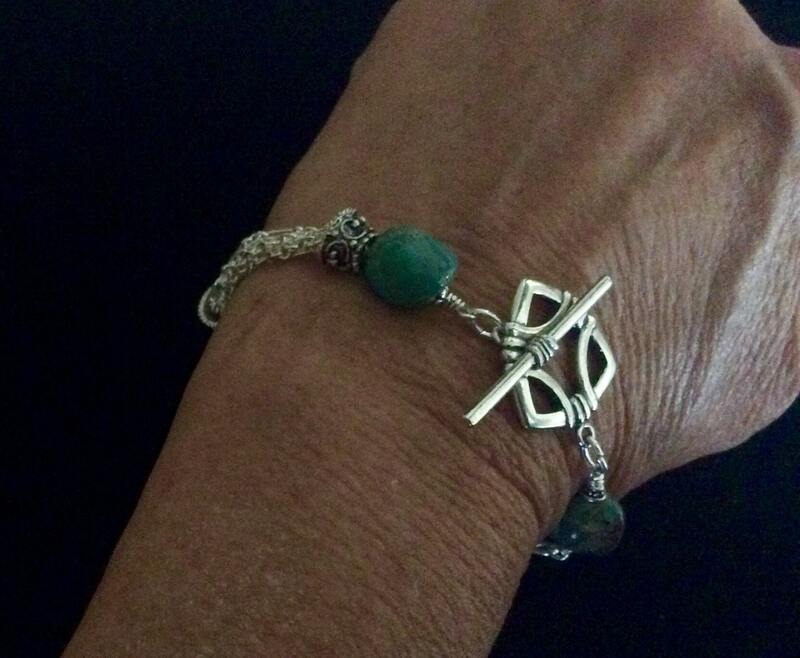 A substantial .925 sterling Celtic designed toggle clasp completes the bracelet. This piece can be worn with your LBD to a gala event or dressed down to dark blue jeans and a crisp white cotton tee. This feminine yet sturdy bracelet measures a substantial 6 3/4" and can be lengthened upon request. Your bracelet will arrive gift wrapped for a lucky recipient or for yourself! If you would like it shipped to another address, please convo me. I'll be happy to enclose a personal note from you!